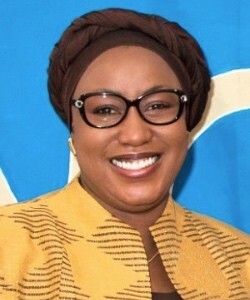 Oley Dibba-Wadda is the Executive Secretary, Association for the Development of Education in Africa (ADEA). She is a strategic analyst and expert in international development policy and programming, particularly on education and gender equality in Africa. Prior to joining ADEA, she was Executive Director of Femmes Africa Solidarité (FAS) and before that, Executive Director of the Forum of African Women Educationists (FAWE), crusading for girls’ education in Africa. Mrs. Wadda has won numerous awards and sits on several Advisory Boards and is also Ambassador for international projects.